We carry out removals to any location worldwide and operate a door to door service where possible, taking care of every aspect of your move abroad. We arrange shipping, customs clearance and documentation, and can even pack and unpack your possessions and reassemble your furniture upon reaching your destination. Our prestigious service is tailored to your bespoke specifications and our team of international movers are dedicated to meeting your every need. 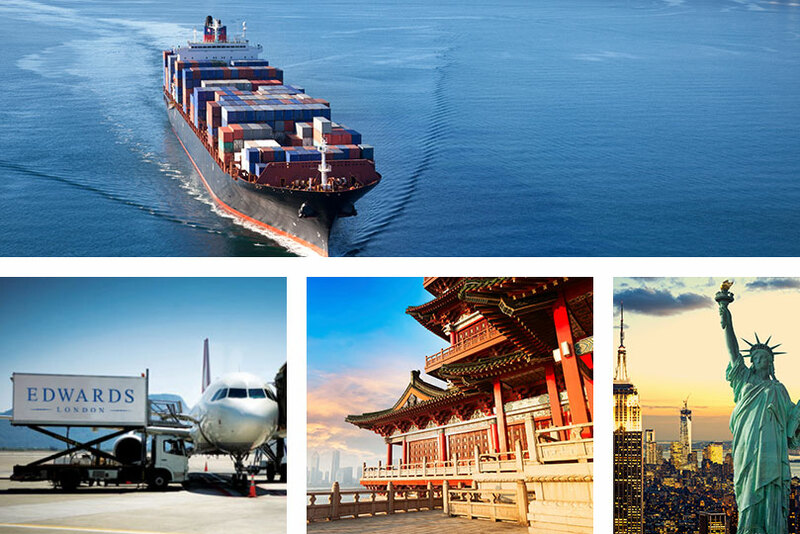 We have regular shipments to most destinations and undertake frequent relocation projects to international locations, such as the USA, Europe, Australia and Asia. You can be sure of the most exceptional standard of service when you call upon our assistance, and our experience exporting items of value ensures that all your possessions will arrive safely and securely. Contact us today for more information about how we can help you. Frequent relocation projects to international locations, such as the USA, Europe, Australia and Asia.